The Justice Department is investigating whether comments made by Tesla CEO Elon Musk last month about taking his company private were illegal, the automaker confirmed Tuesday. The company said it had received a voluntary request for documents and is cooperating. Tesla said it had not been subpoenaed. Tesla didn't give further specifics about what the Justice Department is looking at, or about reports of an investigation underway by the Securities and Exchange Commission. Shares of Tesla (TSLA) fell as much as 6% after the criminal probe was first reported midday Tuesday by Bloomberg. The shares came off that low later in the afternoon. CNN has reached out for comment to the US attorney's office in San Francisco, which is leading the probe, according to the Bloomberg report. The stock shot up nearly 9% after the announcement but has declined substantially since then. By Tuesday, it was down more than 25% from the post-tweet high. Musk abandoned the plan after less than three weeks. 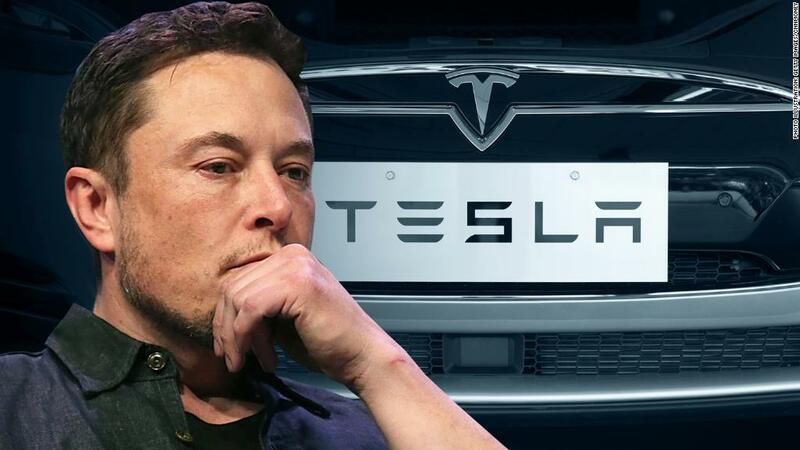 He later said his "funding secured" comment was based on talks with Saudi Arabia's sovereign wealth fund, which he said had urged him to take the company private and offered to increase its investment in Tesla. Critics said such conversations were a long way from having "funding secured" for taking the company private at a stock price significantly higher than where it was trading. But SEC enforcement actions are almost always civil matters, resulting in fines or other sanctions, up to banning up an executive from serving as an officer of a public company. Justice Department investigations are less common, and potentially more serious, because they entail possible criminal charges. Criminal charges typically are reserved for corporate officers who are accused of repeatedly and willfully presenting false information. Two former executives of Theranos, for example, face wire fraud charges over claims they made to investors and doctors about the company's blood testing process. Both have pleaded not guilty. — CNN's Laura Jarrett contributed to this report.